Welcome to my website. I am a Soft Tissue Therapist offering Massage Therapy, Remedial/Sports Massage, Deep Tissue Massage, Assessment, Treatment & Rehabilitation of Minor & Chronic Injuries. I also offer Reflexology. My practice is in Dover Kent - convenient for Deal, Folkestone, Hythe, Sandwich and Canterbury. I hope you will find all the information you need to help you decide if I am able to help you. Whether you are looking to relax and unwind, release from pain or treatment to support rehabilitation back from injury or ill health. I am enthusiastic about my work and am happy to answer any questions you may have, so please ring me on 07594 804331 or click here to email me if you need any further information on the techniques I offer. Soft Tissue Therapy involves the assessment, treatment and management of muscles, tendons and ligaments, used to treat injuries, pain and dysfunction of the musculoskeletal system. A very hands-on treatment that usually combines deep tissue massage; facilitated stretching and advanced techniques. I also give homecare advice to ensure a successful outcome for even chronic or long-term problems. And may include a Postural assessment to help bring you back into optimal alignment and musculoskeletal health. I use a variety of deep tissue massage and advanced soft tissue methods, neuro muscular techniques (NMT), muscle energy techniques (MET), soft tissue release (STR), positional release technique (PRT), myofascial release techniques (MFR) and trigger point techniques. I also offer advice on long term improvement through remedial exercise and can advise on nutrition to help in your recovery. 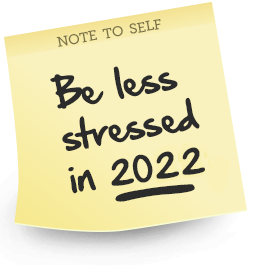 If you are experiencing conditions such as lower back pain, tight and aching shoulders, a stiff neck, repetitive strain injuries. poor posture or many other conditions that are causing you unease and wearing you down, then please feel free to contact me so that we may discuss how I may be able to help you. Clients come to see me for a variety of reasons, not only because of ill health or discomfort, some come to see me to improve their physical and emotional health, to relieve stress or for holistic support during difficult times. Often people come just because they enjoy the techniques I offer and use the sessions as a preventative tool. You do not need to be unwell to benefit from Massage therapy Dover. Many clients report more energy, a relief from pain, stress and tension and a feeling of well-being after a session. My treatments draw from a wide range of massage techniques and may include gentle massage, stretches, relaxation work or deep soft tissue and sports massage and manipulating the soft tissues of the body and include a full postural assessment . These elements combined will be determined by your needs. This is something we can discuss together in our first session. It often helps to clarify a little what you are hoping to gain from the massage and your needs and goals. Very often I find that people most benefit from a combination of soft tissue massage techniques and we will discuss a treatment plan to suit your needs on your first session or please feel free to call or email me. As a qualified reflexologist I understand that treating the whole person is very important and not just specific problems. Reflexology is a wonderful therapy. It feels fantastic, is extremely relaxing and when used in the right way, may help the body recover from a wide range of conditions. I have studied many different forms and approaches to reflexology and also personally benefited from it. Reflexologists work on the theory that there are micro-systems on the feet and hands that represent a specific organ, muscle or skeletal part of our bodies. By massaging specific points on the feet or hands, we can bring balance to corresponding parts of the body. I look for areas of sensitivity or deposits on the feet or hands that indicate potential weaknesses and causes of problems. 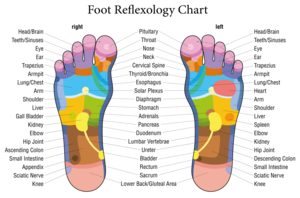 By working on these areas reflexology encourages the body to work naturally to recover and maintain its own natural healthy balance leaving us feeling more energized and relaxed. "I am a serious runner and with the miles I log weekly I put a lot of stress on my body. Michael has always managed to help de-stress my sore and tight muscles in order to relieve accumulated tension and to prevent injury. His technique is unique to every patient he treats addressing the entire body and analysing and applying his mind to figure out the root of the problem in order to treat pain, posture or discomfort. He has also given me valuable tips to keep working on the areas he has treated which are a wonderful bonus to his sessions. Thank you so much Michael, you are so valuable and professional." I practice from my clinic in Dover Kent. My Massage and reflexology clinics are convenient for Deal, Folkestone, Hythe, Sandwich and Canterbury. Flexible appointments including weekends, early mornings and evenings. Soft tissue therapy/sports and remedial massage. You can contact me on 07594 804331 or click here to email me. I am soft tissue therapist/sports and remedial massage and reflexologist offering reflexology, deep tissue & remedial/sports massage sessions in Dover near Folkestone in Kent covering, Deal, Folkestone, Hythe, Sandwich and Canterbury. Sports & deep tissue massage Kent. If you are looking for a sports massage in either Deal or the Dover area or a reflexology session please feel free to get in touch. Easily accessible from Folkestone, Deal, Sandwich, Canterbury, Saltwood and Hythe. Sports Massage Deal, Massage Therapy Dover, Folkestone, Hythe, Sandwich and Canterbury. So if your in Pain and looking for a deep tissue massage in Kent, sports massage or just a relaxing massage in the Deal or Dover areas or a reflexology session please book in.